What a place for a catnap! This is Frederick's idea of curling up with a good book. The detail of this feline portrait will entrance you and the humor will keep you smiling. 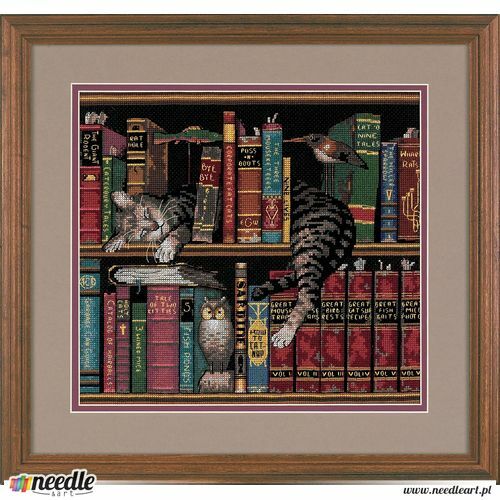 Stitched on 14 count black Aida with rich hues of cotton thread, this design is ideal for both the cat lover and the bibliophile. 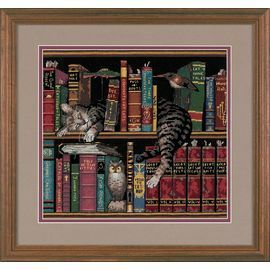 Designed By Charles Wysocki. Counted Cross Stitch.